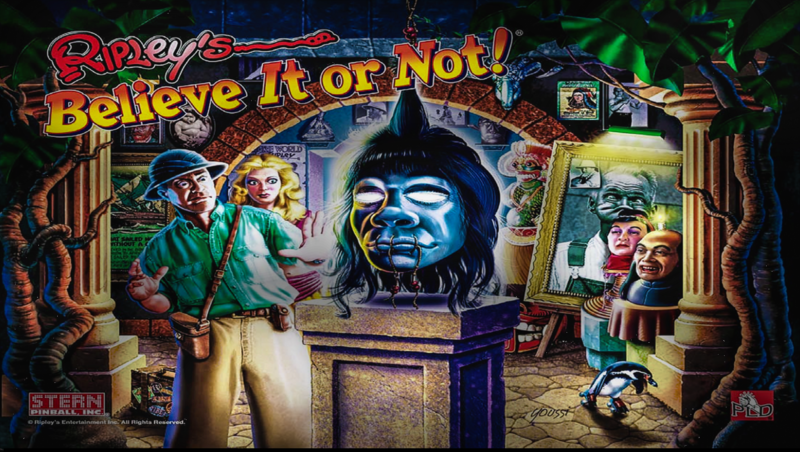 Ripley's Believe It or Not was released by Stern in 2004 and is based on the newspaper comic strip of Ripley's Believe It or Not! 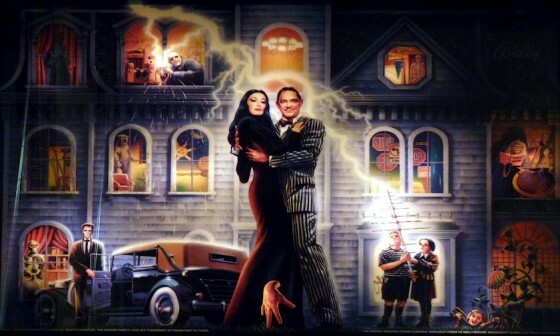 Adam's Family Pinball, based on the 1991 film of the same name, is the best selling pinball machine of all time. Produced by Midway, under the Bally name this game features custom speech by the stars of the film. This 1995 classic pinball machine produced by Bally has been remade for our enjoyment by Chicago Gaming Company. 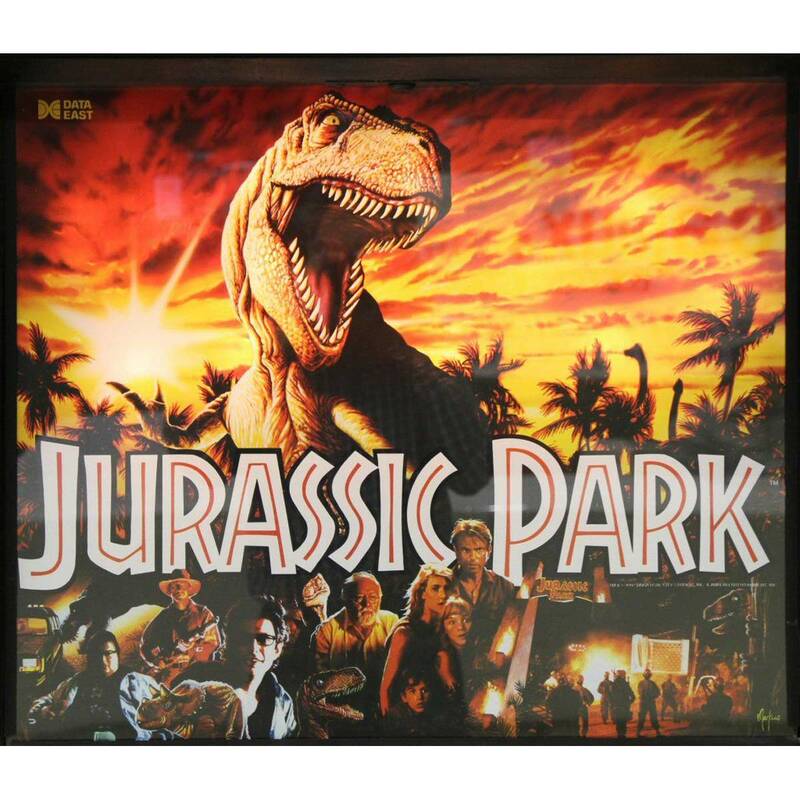 Jurassic Park was released in 1993. 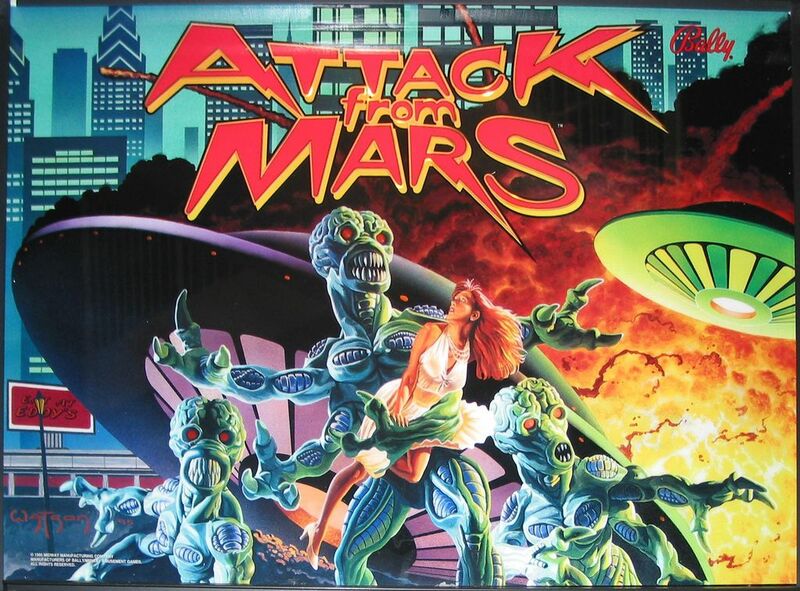 Made by Data East Pinball and based on the Motion Picture of the same name. There are 11 gameplay modes, called "Computer Screens". They are started by shooting the right scoop, called "Control Room", when it's lit. These modes are stackable (i.e., one mode can be running while another mode is in progress). The Control Room is briefly lit by the right ramp or either inlane, and is permanently lit by shooting the Power Shed (the right scoop) on the upper-right side of the play field. Completing all Computer Screen modes lights the Control Room for System Failure, a six-ball "wizard mode" where all shots on the playfield are worth 1 million points. It lasts for 45 seconds. Black Knight 2000 is a 1989 pinball game designed by Steve Ritchie (who also provides the Knight's voice) and released by Williams Electronics. The game has an upper and lower level, a repeating U-Turn, Skyway Loop shots and a Drawbridge toy. Black Knight 2000 includes the patented Magna-Save feature from the original - a ball saving magnet preventing balls from draining. South Park Pinball was released in 1998 by Sega based on the Comedy Central adult cartoon. There there are 5 character modes: Stan, Chef, Kenny, Kyle, and Cartman. It offers 5 ball multiball. Theatre of Magic was released in 1996 by Bally-Midway.The game casts the player as an aspiring magician performing a show in the theatre. With the help of the spinning Magician's Trunk on the playfield, you must pull rabbits out of hats, escape from a strait jacket, saw assistants in half, and more! Subscribe to our newsletter and receive special offers and discounts.